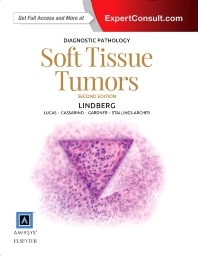 Part of the highly regarded Diagnostic Pathology series, this updated volume by Matthew Lindberg, MD, is a visually stunning, easy-to-use reference covering all aspects of soft tissue pathology. Outstanding images  including gross pathology, a wide range of stains, and detailed medical illustrations  make this an invaluable diagnostic aid for every practicing pathologist, resident, or fellow. Packed with even more high-resolution images than the previous edition  more than 2,000 images in all  it clearly depicts not only the key features of each tumor, but also the wide array of histologic variants.